This aerial photo shows existing potholes and also potholes that have been filled. Over 80% of the small wetlands have been lost to human development. 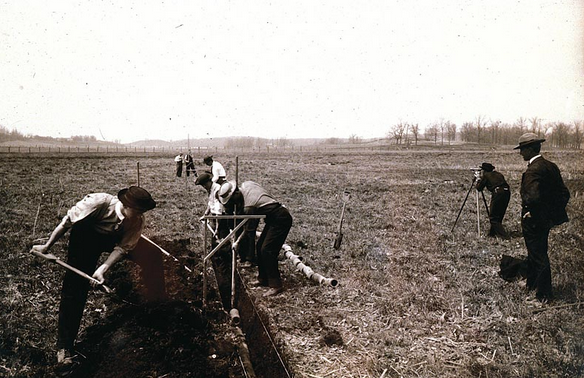 How were the prairie potholes formed? Roughly, 13,000 years, when the last glaciers were retreating, huge ice blocks broke off and were then buried by sediments. The weight of the ice block formed a depression in the earth, then was buried by sediments from the melting glacier. When the ice melted, it formed what is now called a prairie pothole. How has Prairie Pothole region changed and why is it still important today? Formerly a paradise for waterfowl, prairie chickens, whooping cranes, bison, wolves and other wildlife, changes to the landscape resulted in loss of more than 99% of native prairie and drainage of over 80% of the small wetlands. More than 50% of ducks hatched in North America come from the prairie pothole region. 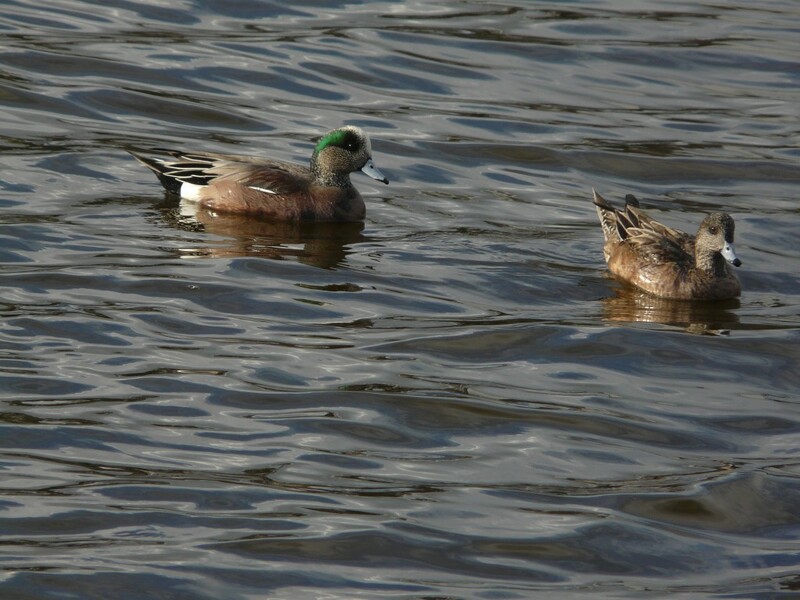 44,000 acres in the pothole region have been restored for waterfowl on public and private lands. The last glacial retreat 12, 000 years ago, melting waters from the glaciers were blocked by a large moraine at what is now Brown’s Valley. 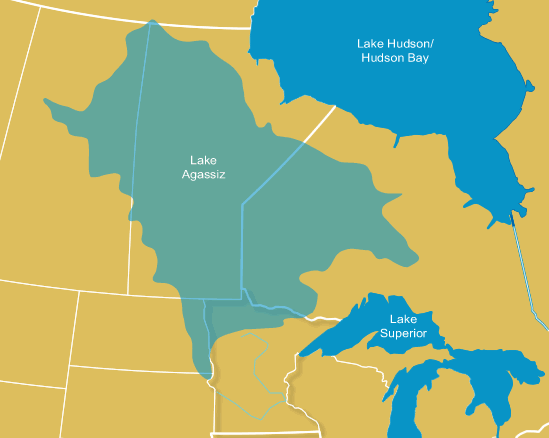 Water was unable to flow and formed what was called Glacial Lake Agassiz. Glacial Lake Agassiz water level rose until it broke through the Brown’s Valley moraine at Traverse Gap. The water coming out of Glacial Lake Agassiz was a huge torrent. 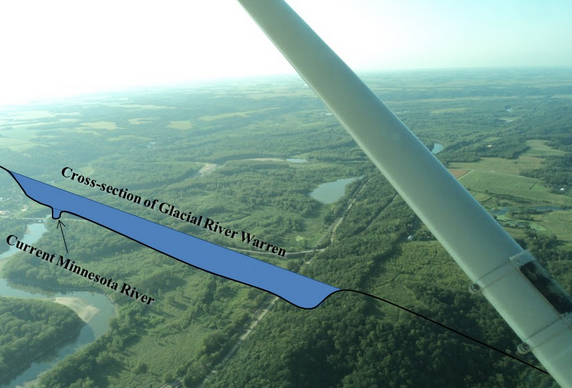 It is known as the Glacial River Warren and carved the Minnesota River Valley for several thousand years. 8,000 years ago, the glaciers had melted back and Lake Agassiz was so low that it no longer drained to the south through Traverse Gap. Traverse Gap is the southern most divide between watersheds that flow north into the Arctic and south into the Atlantic Oceans. 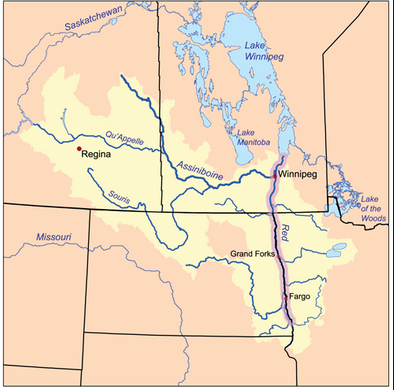 Today, the Red river flows north into Lake Winnipeg and ultimately into Hudson Bay. While the Minnesota River flows south into the Mississippi River and ultimately into the Gulf of Mexico. During the thousands of years the glaciers receded it left rich soil that grew lush grasses to to feed great herds of bison and elk. 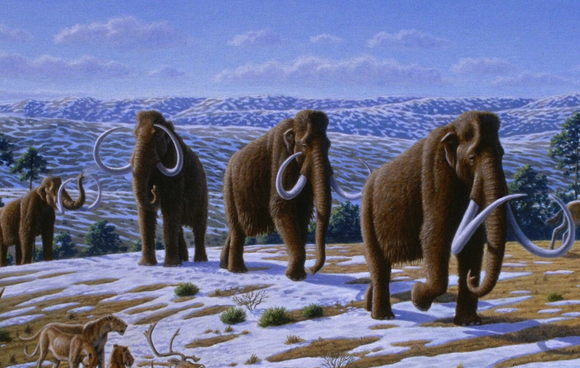 Perhaps other large mammals such as wooly mammoth and giant ground sloth existed here, but the glaciers covered any possible evidence of their existence here. Where ever there was game, there were bands of pre-historic hunters and gathers. The remains of two such people exist in the prairie pothole region. The Brown’s Valley Man dates to 9,000 years ago and the Minnesota Woman from Pelican Rapids, dates to 8,000 years ago. 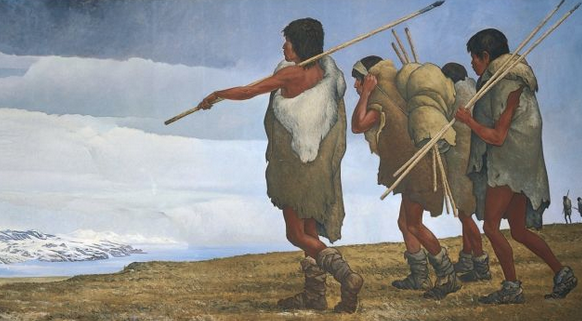 They were members of a race of people who lived in the shadow of the retreating glaciers. 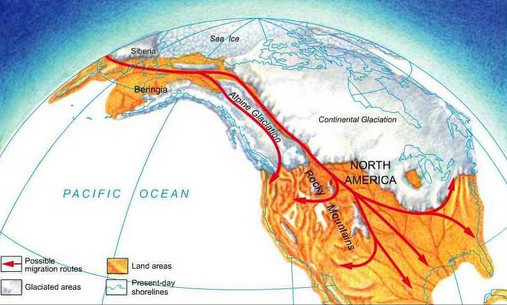 Their ancestors had come to North America using the Bering Sea Land Bridge from Asia. During the ice age sea level was 300 feet lower than it is today. 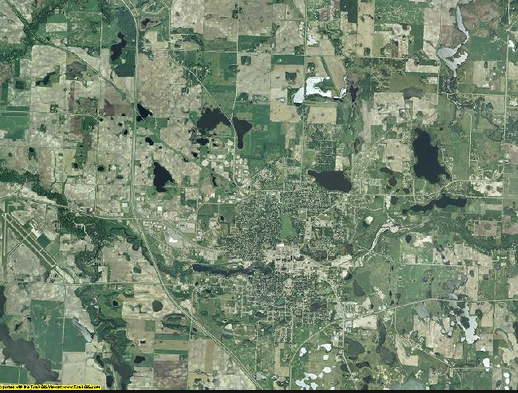 A bison kill site at Lake Itasca has been unearthed and was dated 8,000 years ago. 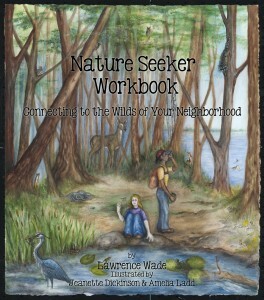 This entry was posted in Connecting to Nature, Summer. Bookmark the permalink. The ducks pictured in this article are not Green Wing Teal like they are labeled. They are actually American Wigeon.